You don't have to put up with workplace discrimination. You have a slew of laws protecting you from workplace discrimination for a variety of reasons, ranging from gender and age to national origin, sexual orientation and religion. While you can get a lawyer and begin formal actions, you might want to consider talking to someone first about your suspicions. Once you’ve determined that discrimination is most likely going on, there are procedures you should follow to report the activity. Document the discriminating activity. You’ll need to be able to provide the date of the activity and where it took place, as well as details about the discrimination and who was involved. Record the names of witnesses if they exist. Gather the names of others in the company who may be experiencing similar problems to strengthen your case. Keep any other proof that you collect that could include emails, memos or pictures that you received personally or that were posted in such workplace locations as the bulletin board, restroom or break room. Tell your manager or human resources department about the discriminating actions going on at your job. It’s possible that no one even recognizes the behavior as such and simply by bringing it to your employer’s attention, you can nip it in the bud. Inform your employer that you are taking the matter seriously and will file a report with a state or federal employment agency if the discrimination continues. Ask for an investigation and for action to be taken to discipline the offenders. By law, most employers must follow up on your accusations. File a report with your local office of the U.S. Employment Equal Opportunity Commission if your employer is unable or unwilling to stop the behavior. Local offices vary in their requirements for making appointments, but all EEOC divisions will require you to provide detailed documentation about the problem. Before you take any action, review your company’s discrimination policies, which are most likely written down in the company handbook you got when you first started the job. It should tell you what actions to take and who to report discrimination problems to. 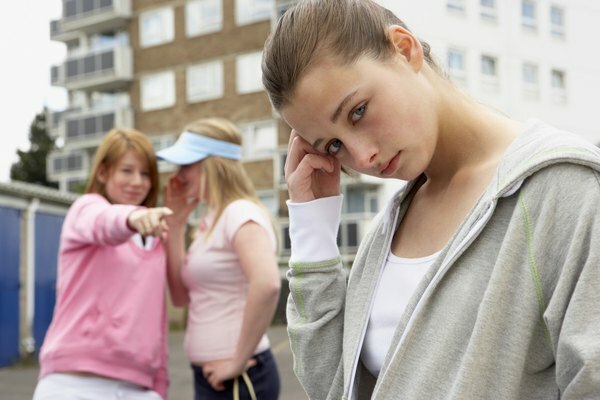 If you falsely accuse someone of discriminating against you, you could create an uncomfortable work situation that could lead to your dismissal or a lawsuit against you for slander. What to Do When the Employer Is Making Racial Remarks? Can You File a Grievance While You Are Employed? 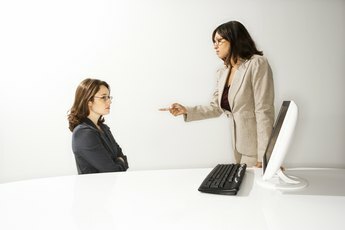 What Should Employees Do if They Feel Retaliation?